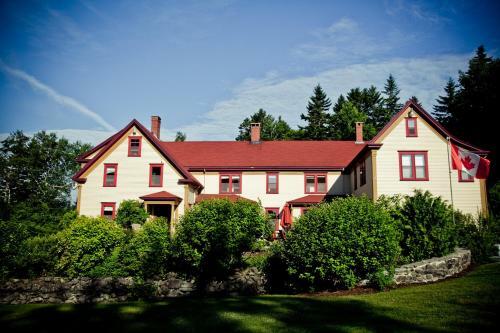 Providing free WiFi, Dominion Hill Country Inn and Retreat Centre is situated in Bocabec. Among the various facilities of this property are free bikes and a fitness centre. Guests can make use of a garden. Nestled among sixty acres of forest and hills where the Digdequash River meets the sea. Modern comfort meets country chrarm at an historic estate on the beautiful coast of New Brunswick. Guests rooms, meeting and retreat space for groups and wedding facilities at an intimate, charming heritage property.